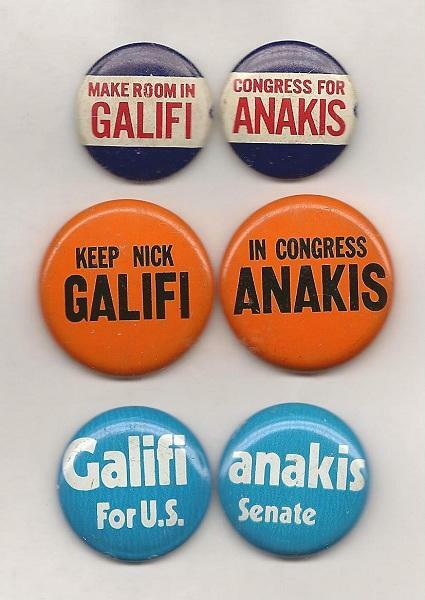 Former US Congressman Nick Galifiniakis used two political pins to capture his name during his campaigns. The son of two Greek immigrants, Nick Galifianakis was a surprising pick for politics in 1960s North Carolina. "Pick Nick", a new book by former UNC history professor John Semonche, published by Tidal Press, takes an intimate look into Galifianakis’s rise to political prominence, first as a member of the North Carolina General Assembly and later as a United States Congressman. A conversation with former US Congressman Nick Galifianakis and author John Semonche.